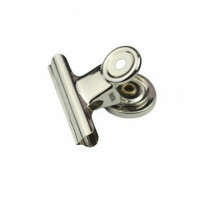 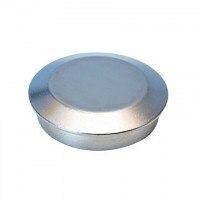 Stainless steel pot magnet of the Excello series. 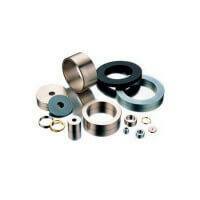 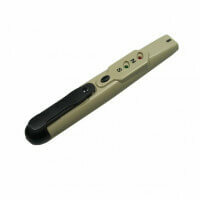 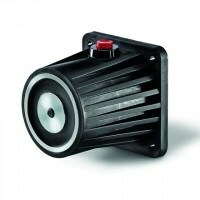 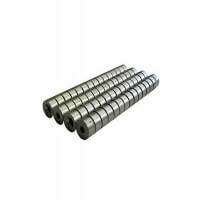 Produced with cylinder bore and ferrite magnet. 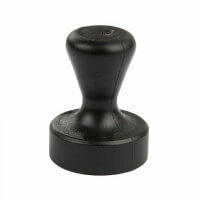 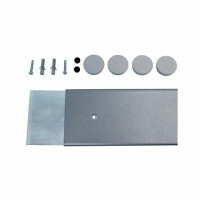 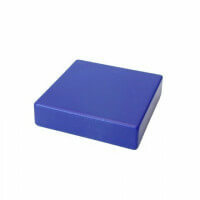 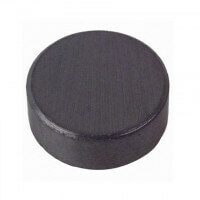 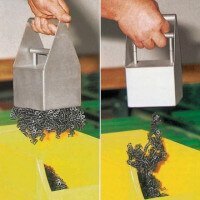 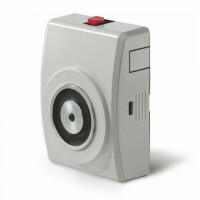 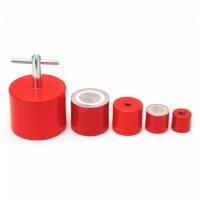 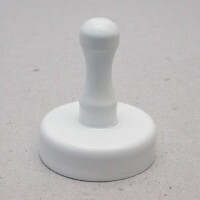 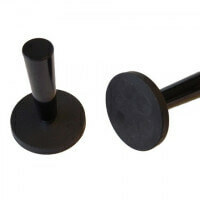 High quality and solid workmanship are key words for these pot magnets. 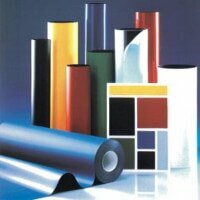 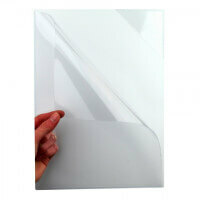 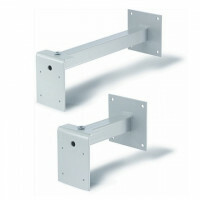 The special qualities of the stainless steel ensure the multiple application possibilities. 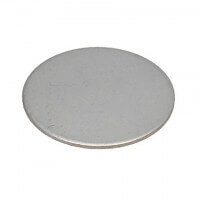 These Excello pot magnets possess the advantage of being surrounded by a solid stainless steel pot. 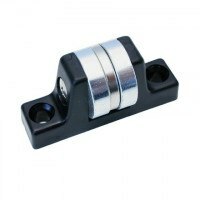 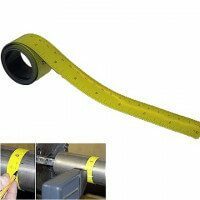 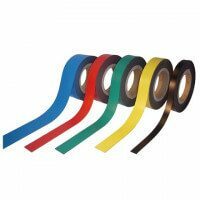 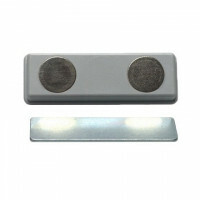 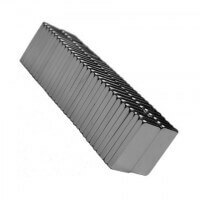 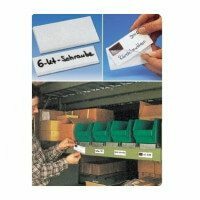 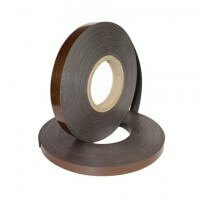 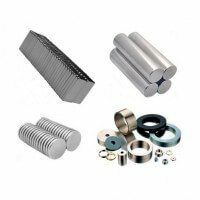 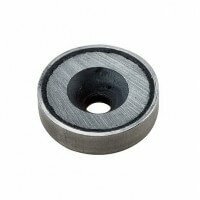 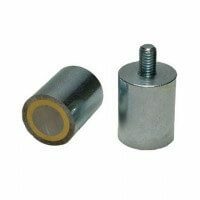 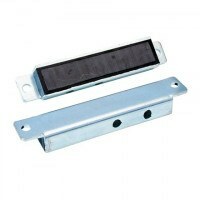 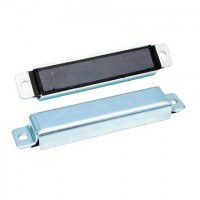 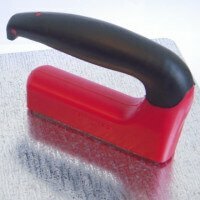 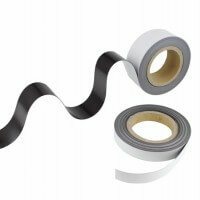 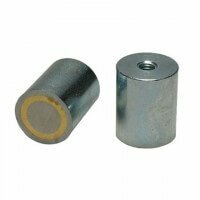 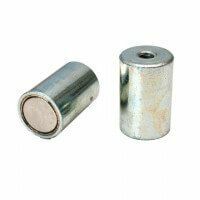 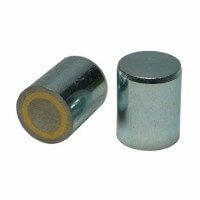 The strong ferrite magnet ensures high magnetic strength for this product and the stainless steel provides multiple application possibilities. 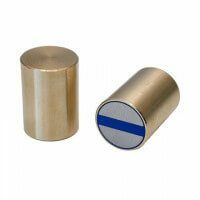 The pot magnet in stainless steel is ideal for applications where there is a high level and demand regarding hygienic regulations. 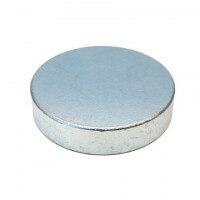 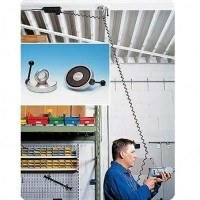 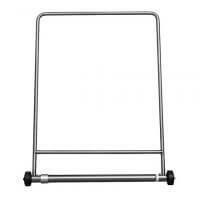 Furthermore, the special stainless steel ensures higher working temperatures than the normal galvanized pot magnets. 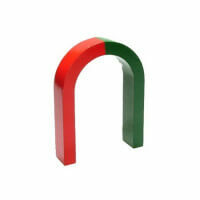 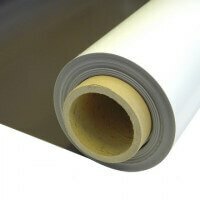 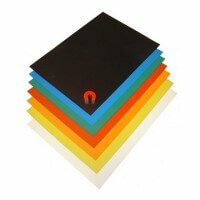 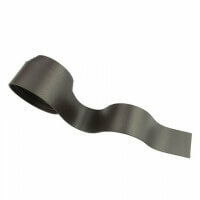 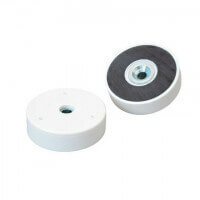 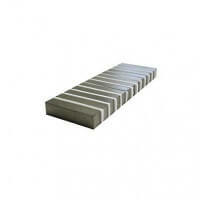 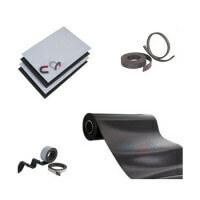 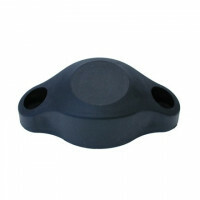 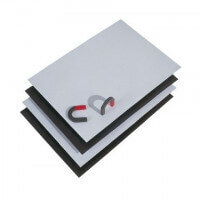 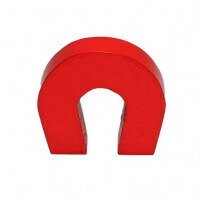 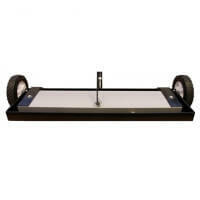 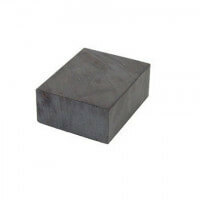 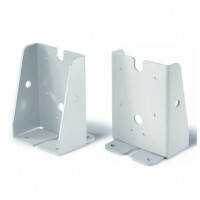 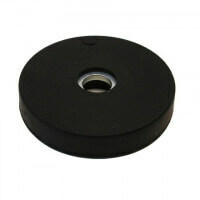 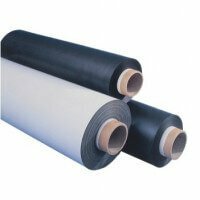 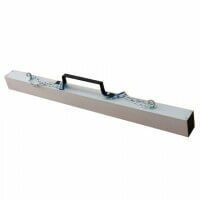 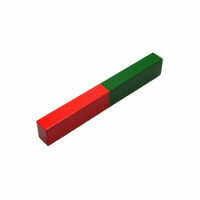 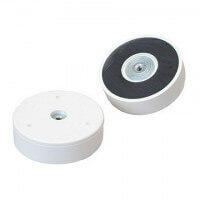 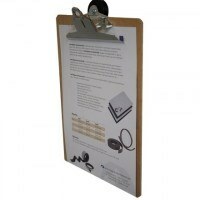 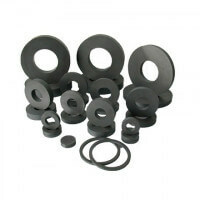 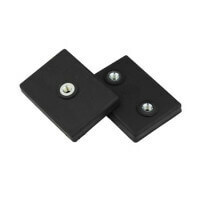 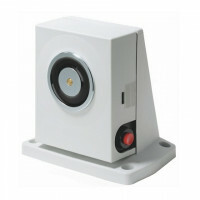 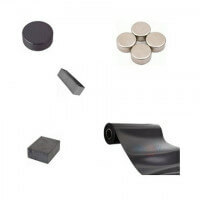 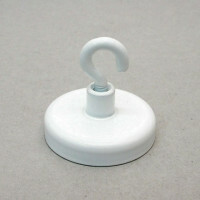 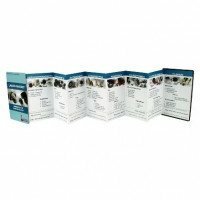 The ferrite magnet is solely produced by ’pure’ quality-materials to ensure the best possible durability and strength. 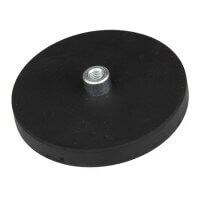 Thanks to the cylinder bore the pot magnet is very easy to mount. 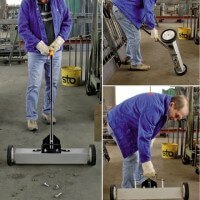 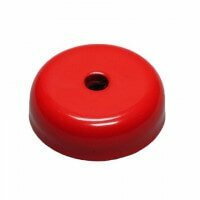 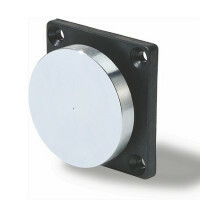 The pot magnet is part of the Excello series which provides certainty and security for being a particularly durable product with accurate magnetic strength and tolerances. 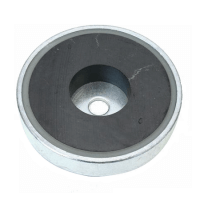 The pot magnet with cylinder bore provides an exceptional holding force due to the high-quality raw materials. 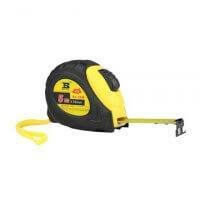 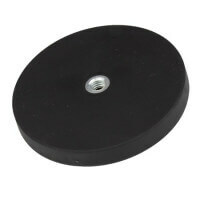 Depending on the dimension this pot magnet with cylinder bore reaches up to 680 newton. 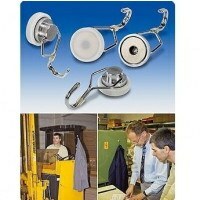 Please contact our technicle department if there are any special requierements regarding dimension or strength. 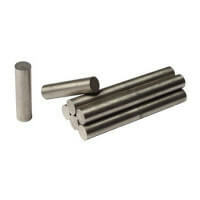 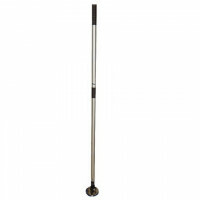 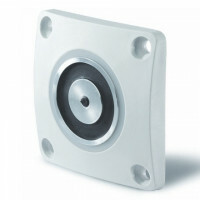 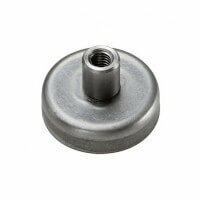 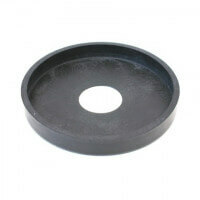 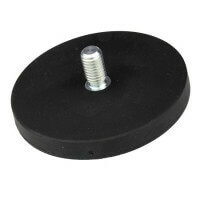 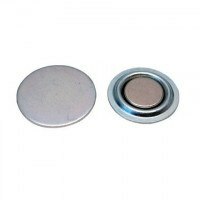 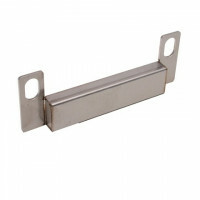 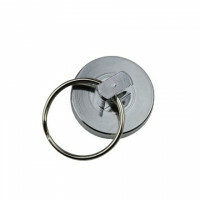 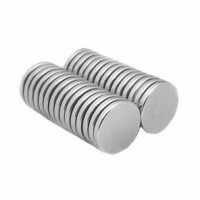 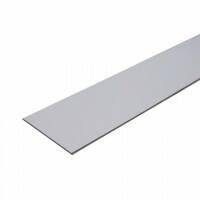 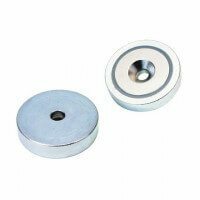 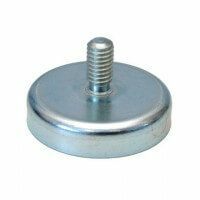 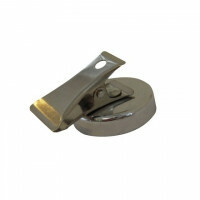 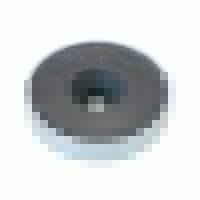 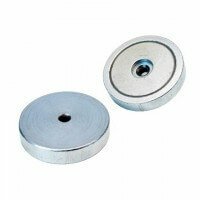 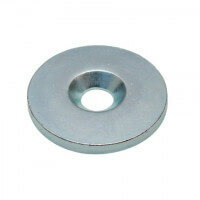 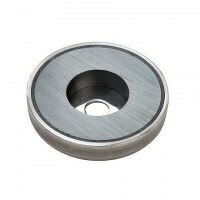 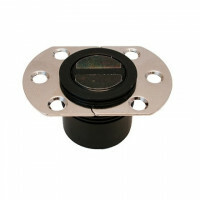 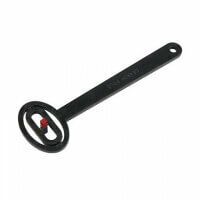 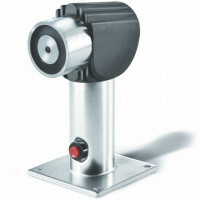 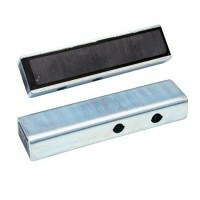 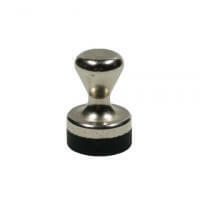 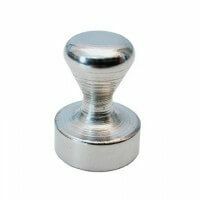 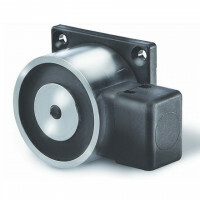 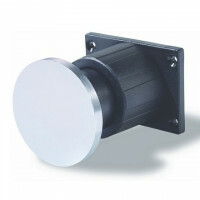 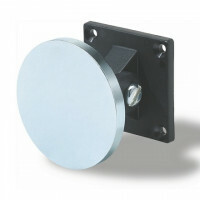 The stainless steel pot magnet with bore is produced in two dimensions as a standard; Ø50 mm – Ø63 mm. 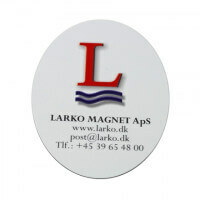 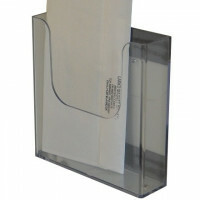 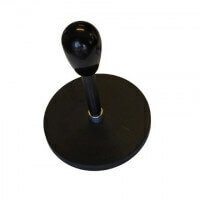 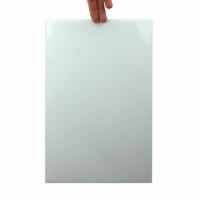 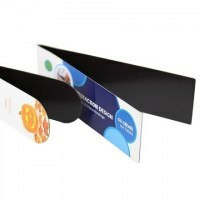 Almost every need can be accommodated - please contact us if in need of a custom-made pot magnet. 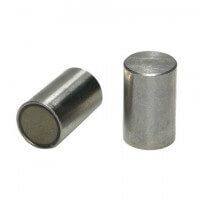 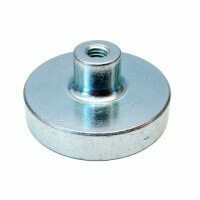 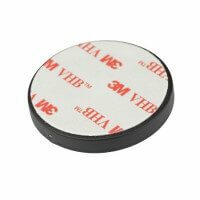 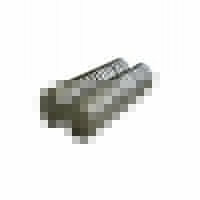 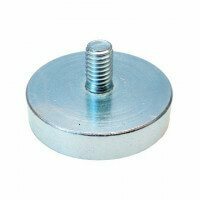 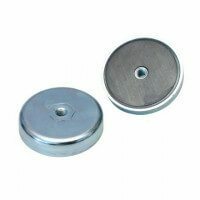 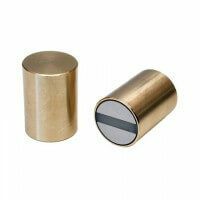 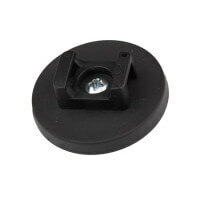 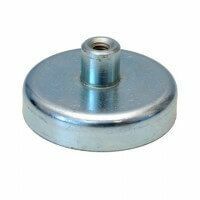 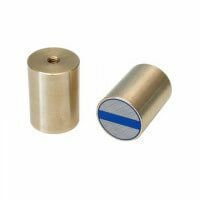 This magnet is also produced as ferrite pot magnet with countersunk in stainless steel and as pot magnet in ferrite with screwed bush / stainless steel.